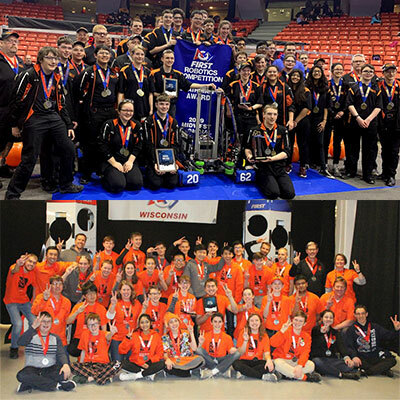 Trace-A-Matic is excited that the CORE Robotics Team (Waukesha, WI School District) and BEAST Robotics Team (Elmbrook, WI School District) found much success at the regional level and have both qualified for the 2019 FIRST Robotics Competition World Championships. This venue brings together tens of thousands of students from around the world who participate in K-12 robotics programs. The FRC World Championships will take place in Detroit, Michigan on April 24th to 27th. We wish both teams safe travel and much fun! Trace-a-Matic has been participating in robotics team sponsorships since 2014. © 2019 Trace-A-Matic Corporation. All rights reserved.